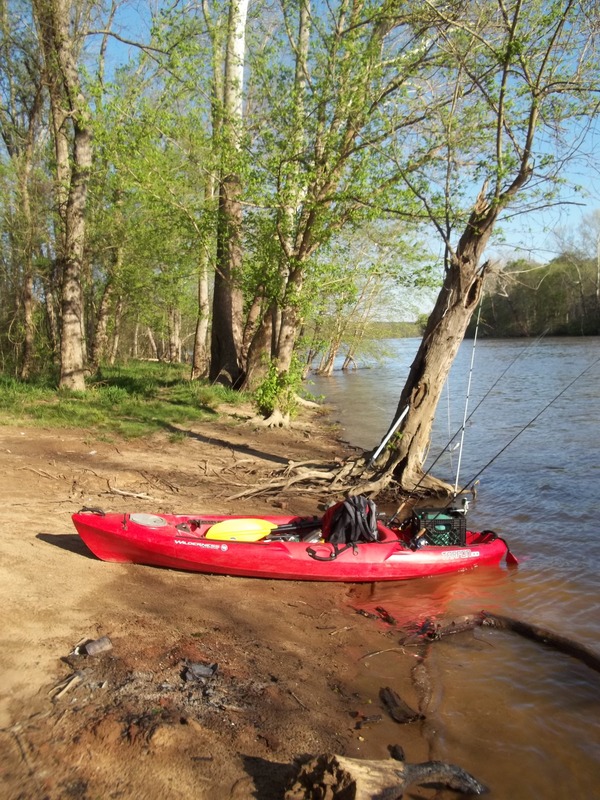 I’ve been out on the Cape Fear and The Haw River recently; both a few times in fact. 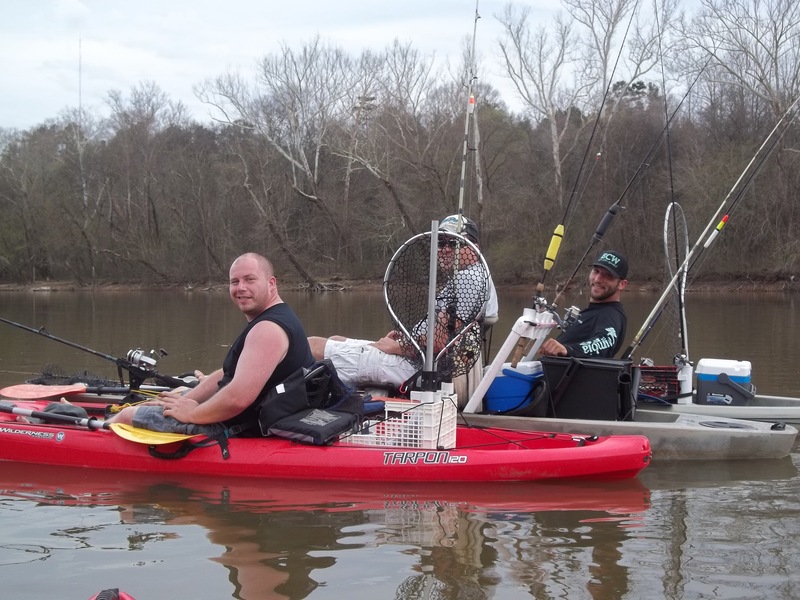 The fishing has been up and down, but the weather has been getting much better. Recent rains have had water levels all over the place, and with more on the way this week, things will probably remain hit and miss for a while. 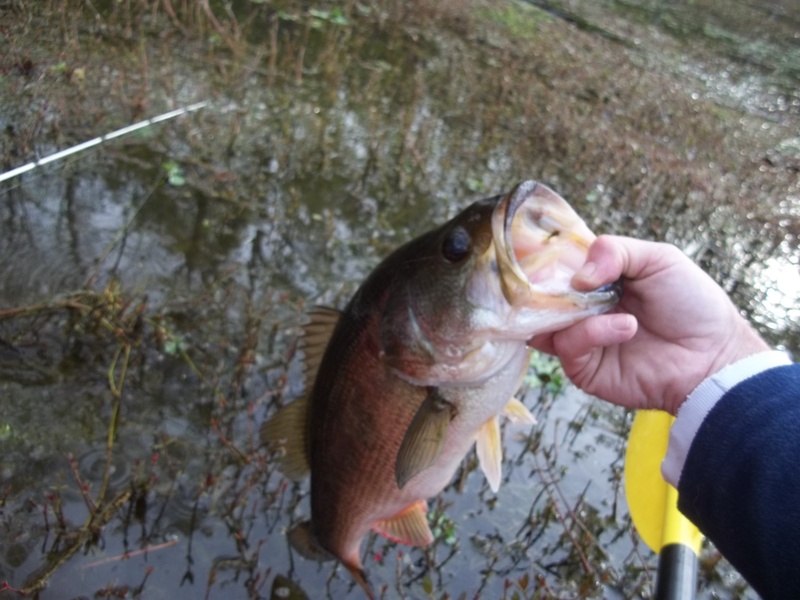 Lakes however are producing good largemouth, both Harris and Jordan Lakes are good now. 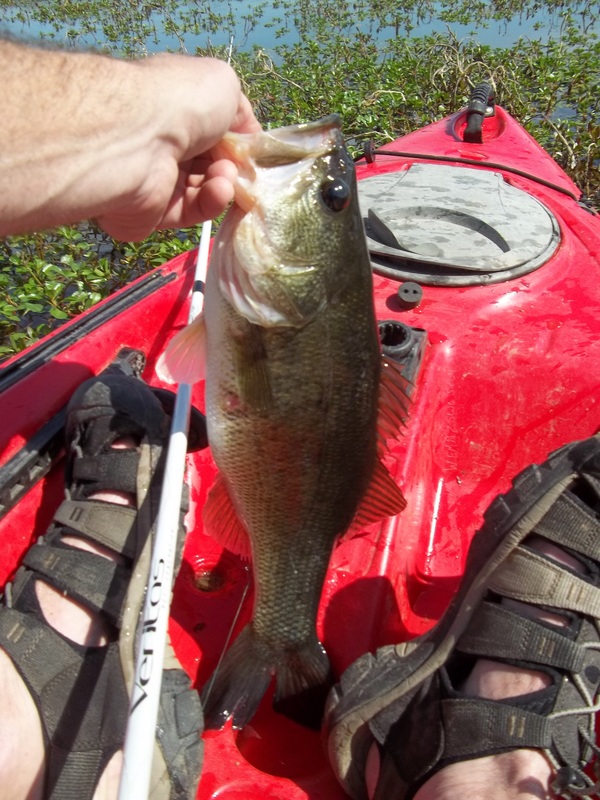 Use weightless texas-rigged senkos for bass on both lakes. 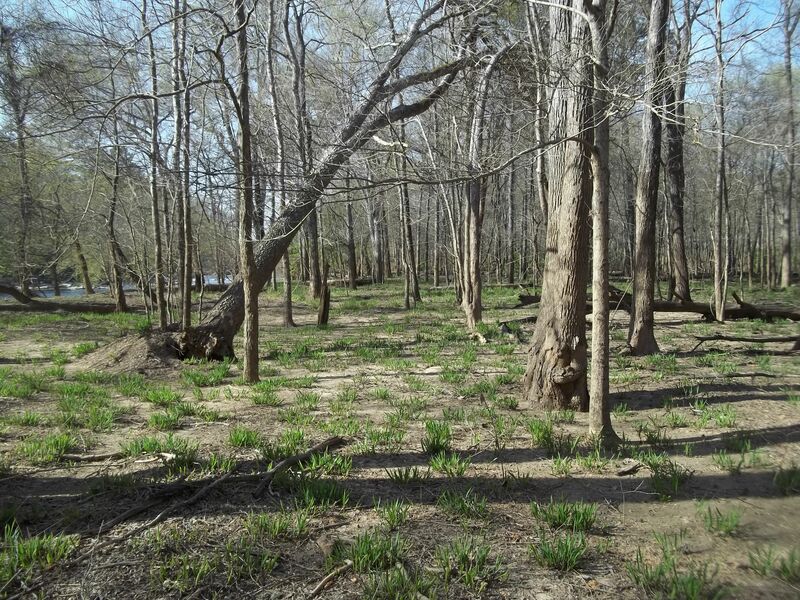 Look for the grass and timber early and late in the day. 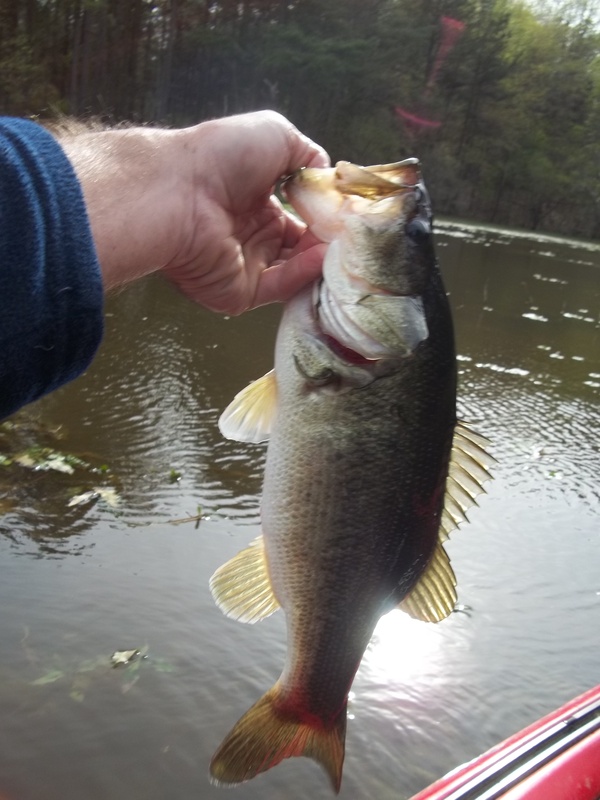 Crankbaits and spinners are starting to produce, but the experienced angler will still try to fish for bass vertically as well with small to medium sized spoons during the day along with the worm fishing. Stripers are scattered on local lakes, but they too can be taken vertically, or slow trolling big in-line spinners and small sassy shads rigged on jigheads. Slowly. 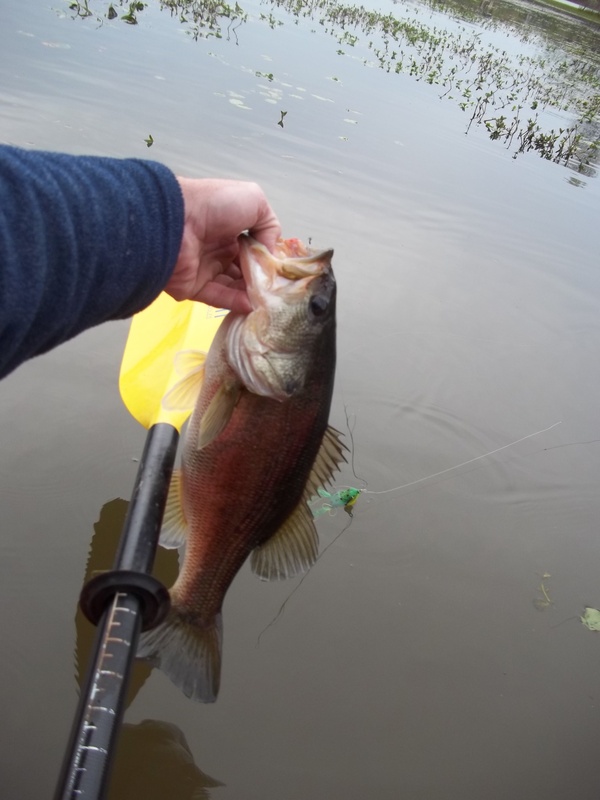 These fish are also very shallow now so expect to be fishing in the less than 15 feet of water the majority of the time. Carp and crappie are also biting well. I found some gold on the Cape Fear river last week. These fish can be caught using sturdy hooks as one might use to texas-rig for bass. 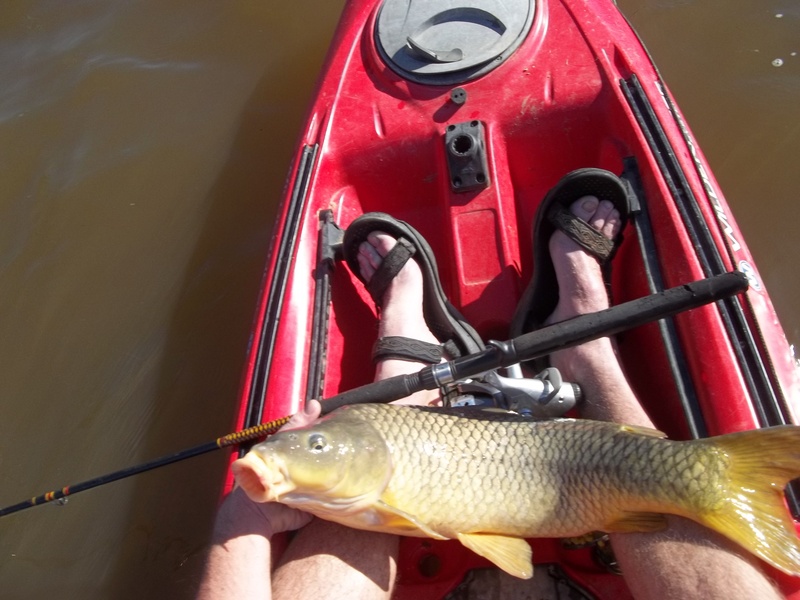 Simply anchor and scatter corn in the waters you suspect carp to inhabit. You will often see that most fish you see or hear jumping are carp. Then use a small weight to cast a hook with 2 or 3 pieces of corn hooked so that the tip of the hook is barely exposed; or not at all. Try to cast just in or around where the first hand-full of corn has settled. Now this is the important part. Carp are like stripers and red drum in that they have big shoulders and will take blistering runs. You will find a bait-casting reel or any reel capable of letting line out freely, and especially with a clicker, will be the best option. And make sure you test that the reel is in free spool each time you cast. Set the rod in a rod holder and wait. Likely the fish will tear out line and you will simply reel down on it. However sometimes these fish will ‘pop’ the bait and not run, set the hook if the line is jumpy and hold on. 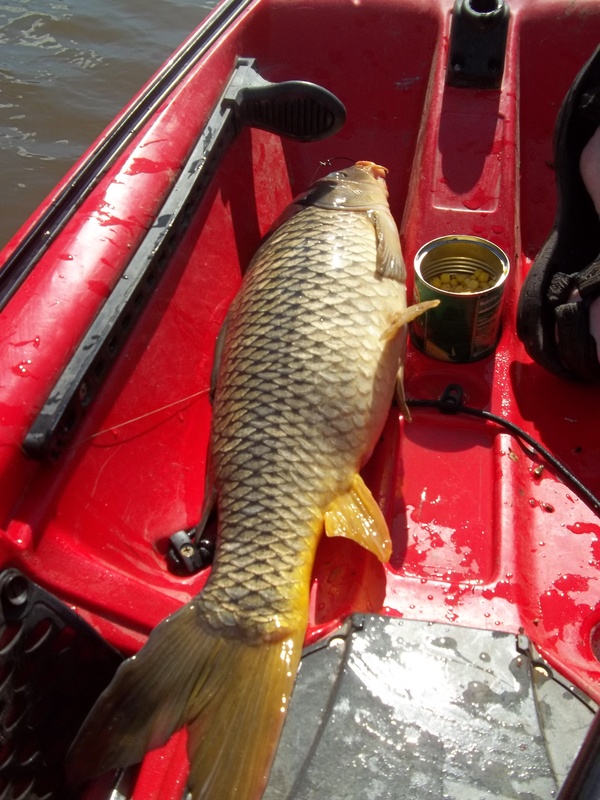 Carp are a blast on the water. I caught a few that day; along with a nice shad. 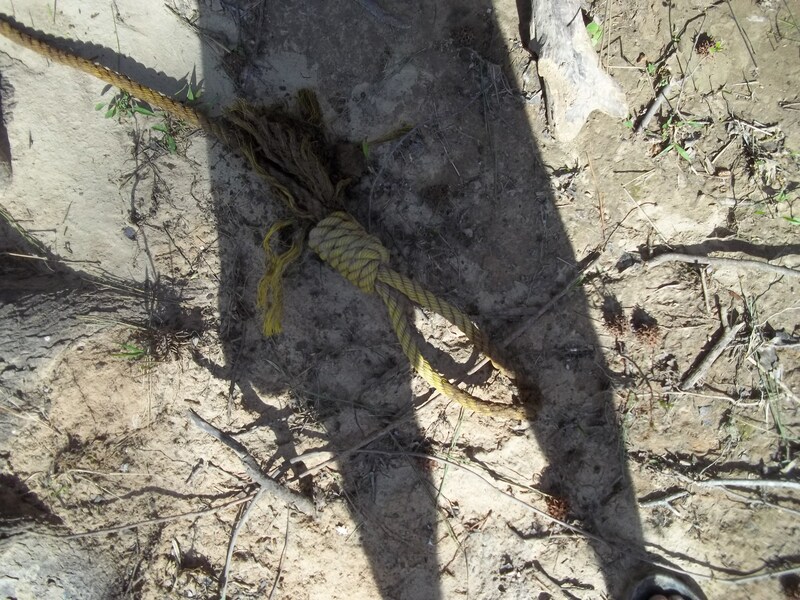 I did some exploring too and found a tangled tow-strap. Cleaned it and its in my truck now. Then I found something a bit disturbing. I hope it was never going to be used. Maybe it was just for a boat tie-down. 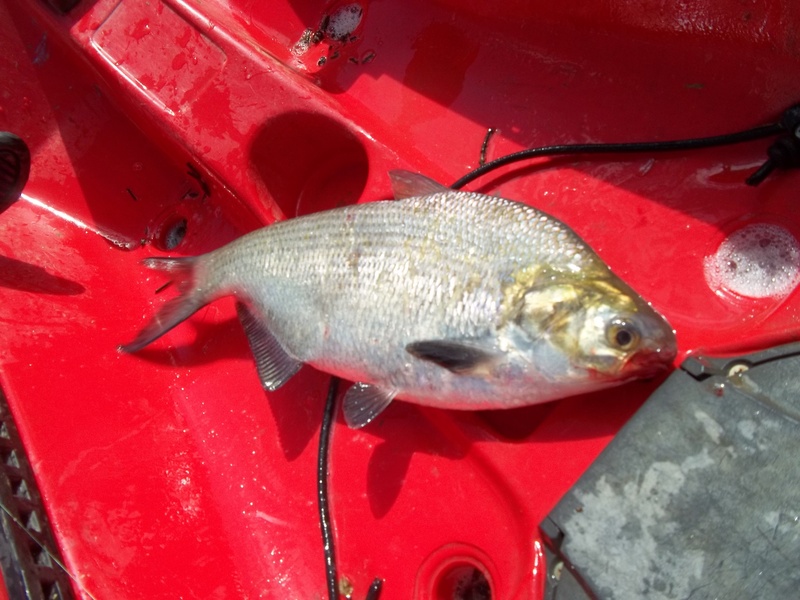 The white bass have still been hit or miss as well with some good fish taken here and there. I still believe the best of the run is to come. See here for tips to catch these tasty fighters. Here are few more pics from recent trips. I’ve caught crappie, white bass, stripers, largemouth, carp, shad and more lately. The fish haven’t been all that big yet, but they are starting to turn on. 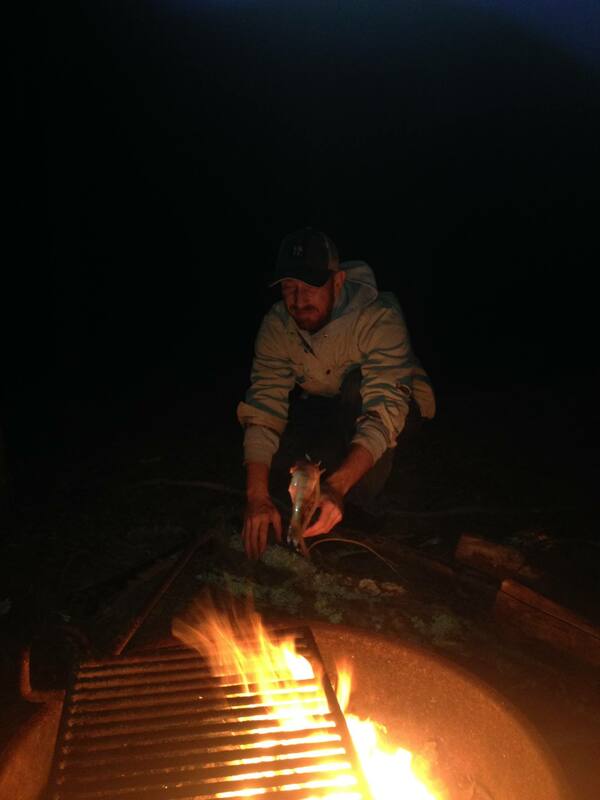 Yep, that’s a yellow perch on a spit…and it was good! If you ever want to mentor someone. I’d be happy to tag a long. Always a possibility. Thanks for the thought. Looks like you’re into fly fishing and tying your own flies? Yes, I prefer to fly fish. 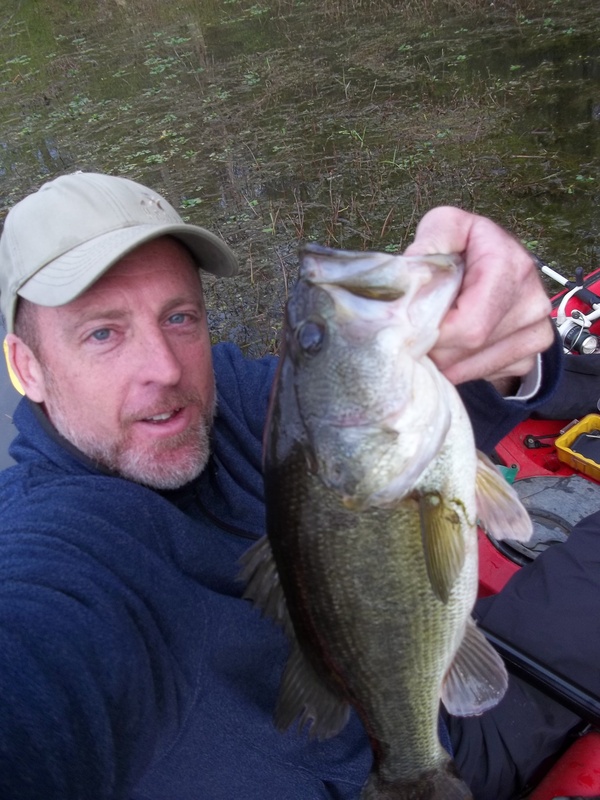 I find it difficult at times when I’m kayaking to cover a bunch of water so I bring a spinning rod as well. I do tie my own flies. Well you might be a little too knowledgeable to mentor, but we could certainly fish a river one day. Kev on angler?